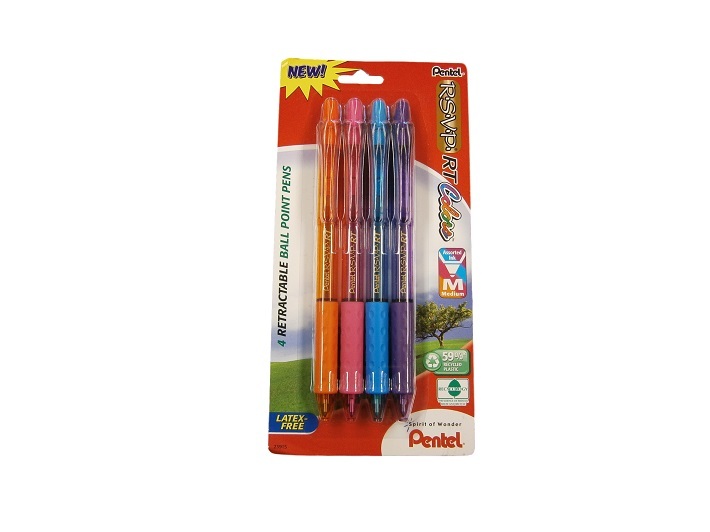 Pentel® R.S.V.P.® Medium ballpoint pen in assorted colors has stylish, colorful barrel with convenient clip for pockets and notebooks. Retractable pen has durable, stainless steel tip delivering smooth and consistent lines. Ergonomic barrel design with soft latex-free ComfortZone™ grip. Pens made from 59% recycled plastic.